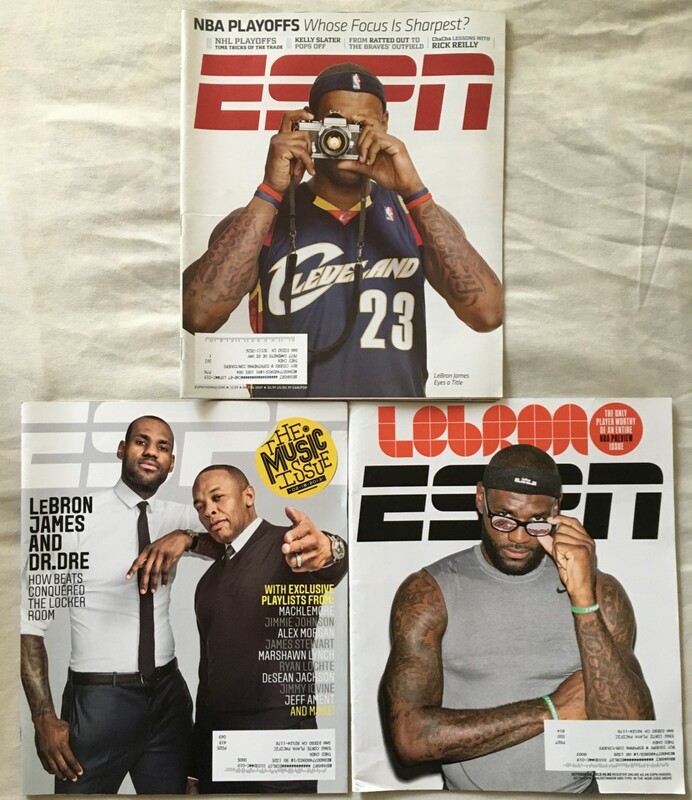 Lot of three different ESPN The Magazine issues with LeBron James on the cover: 5/5/09, 10/28/13 and 2/18/13. 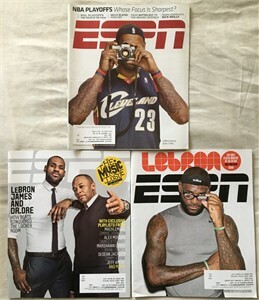 All have subscription addresses and minor handling flaws. ONLY ONE LOT AVAILABLE FOR SALE.